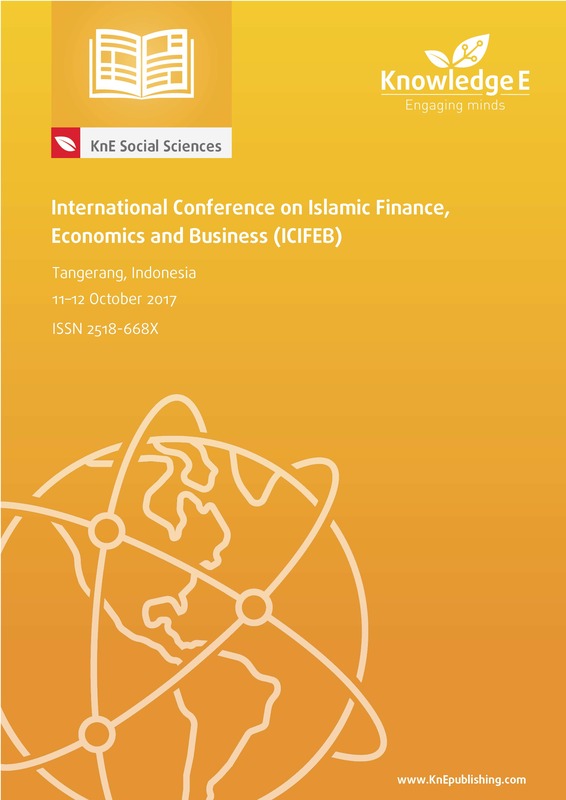 The Inaugural International Conference on Islamic Finance, Economics, and Business (ICIFEB) aimed at presenting current research being undertaken in the areas of Islamic finance, economics, and business. This conference provided opportunities for the delegates to exchange new ideas, knowledge, and experiences, to establish research networks and to find global partners for a future alliance. The conference was held on 11–12 October 2017 at Santika Hotel, Tangerang, Banten, Indonesia. Conference topics: Financing Modes, Financial Econometrics of Islamic Finance, Pricing Risk & Liquidity Management, Islamic Banking Practice, Accounting for Islamic Finance Institutions, Auditing in Islamic Finance Institutions, Product Development in Islamic Financial Institutions, Sukuk, Islamic Indices and Mutual Funds, Asset Management, Takaful, Roles & Future Challenges of Shariah Supervisory Boards, Zakat, Income Distribution & Poverty Alleviation, Labor Issues & Wage Determination in Islamic Economic System, Behavioral Economics, Regulation of Markets and Corporations by the State in an Islamic Economic System, Business Ethics in Islam, Marketing Ethics in Islam, Islamic Perspective on Leadership, Corporate Governance and Social Responsibility, HR Practices in Islam, Ethical Decision Making, Strategic Management and Planning in Islam, Organizational Development in Islam, Ethics in Supply Chain and Operations, Islamic Economy and Muamalat, Islamic Marketing and Ethical Marketing, Islamic Entrepreneurship, Islamic Finance, Islamic Investment, Islamic Financial Service, Islamic Capital Market, Islamic Risk Management, Islamic Accounting, Islamic Corporate Governance, Islamic Social Responsibility, Communication in Islamic Business, E-Commerce in Islamic Business, Information Challenges in Islamic Economics and Business, Legal Issues in Islamic Banking and Finance, and other areas relevant to any management field. Do Indonesian’s Auditors Lack Moral Competence?